There was a time when a cruise was seen as a holiday for retired people who enjoyed sunning themselves as they crossed the Atlantic or explored parts of Europe they’d never seen before. Grey hair abounded on cruise ships leaving UK ports – or at least that was how it seemed. Cruises have seen a rapid rise in popularity for couples and families, and are set to reach new heights in the coming years. However things have changed remarkably in recent years. Now there are cruises designed for all kinds of people. You can choose to board a singles cruise, or head off on a family friendly cruise. There are even gay and lesbian cruises that cater for this specific market, not to mention golden oldie cruises to appeal to what is perhaps the original slice of the marketplace. 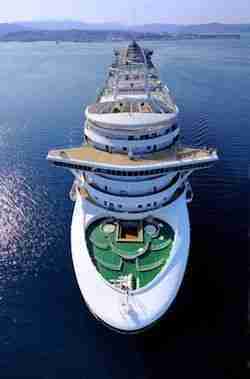 Cruises Around The World - Read Our Reviews! Alternatively you may like to go on a world cruise, head off to see the Northern Lights, explore the Caribbean islands or try a transatlantic cruise. The world really is your oyster when you decide you’ll step on board one of the many cruise ships sailing our seas and oceans today. The UK even beat Europe as a whole when it came to the increase in spending in this area between 2011 and the previous year. Compared to Cruise statistics in the US, Europe managed a modest but healthy increase of 3.3% while the UK boosted its spending on cruises by 10.2% against 2010. While the figures for 2012 have yet to come in, the picture for cruise lines was a rosy one during 2011. Some 1.7 million people headed off on a cruise that year, which represented a whopping increase of more than 10% on the previous year. This was almost double the increase seen in Europe as a whole. So it seems the future is bright for the cruise industry. Since the UK is still struggling to get out and stay out of a recession, this is particularly heartening news. From the statistics already given above, it’s easy to see how popular cruises have become. This is likely to continue with more no-fly cruises being made available in the UK and the ever rising cost and hassle associated with flying. Indeed so called ‘fly cruises’ are not quite as popular as they once were. Instead some 100,000 more passengers booked a cruise departing from and returning to a UK port in 2011 than in the year before. From 2010 to 2011, the number of fly cruises booked dropped by 2%, while cruises leaving from a UK port rose by an impressive 15%. When you consider that foreign holidays as a whole became less popular during the same year – reaching their lowest level since 2000 – it’s easy to see how successful cruising has become. It would also seem that those passengers with a natural fear of flying are not the only ones who prefer a cruise that departs from the UK and returns to the same home port. If you have stayed in touch with the news since the recession first hit a few years ago, you’ll probably be aware many people have stopped going on foreign holidays, opting instead for UK based ones to save money. And yet during this same period the cruise industry has stayed strong. This reason stayed consistent over the three years, ranking far above the other reasons deemed important, including on board service and the atmosphere enjoyed on the average cruise. During a three year period from 2009-11, by far the strongest reason passengers had for choosing a cruise holiday was the price. Clearly those looking for a promising holiday want value for money. Cruises are designed to appeal to every kind of audience, from those who want to explore several countries to those who want an all inclusive break. Perhaps we are getting tired of long waits and queues at airports, not to mention the amount of travelling required before our holiday begins. A cruise offers a refreshing alternative – the ability to travel a much shorter distance to a UK port before parking the car and boarding our chosen cruise ship to start our holiday. Even before we leave British waters we are enjoying ourselves without a care in the world. It’s a convincing argument that would make anyone consider trying a cruise for the first time. How easy is it to embark on a cruise from the UK? You may be surprised to learn there are around 23 UK ports from which cruises leave on a regular basis. These range from the lesser known Invergordon and Hull to the most popular ports including Southampton. Indeed this is the main port of all those available, with four cruise terminals currently in use and a fifth one due to open in 2013. This is in direct response to the popularity of this port on the south coast of England. Five cruise companies, including P&O Cruises, Cunard and Royal Caribbean, have several ships based in Southampton. Typically speaking it is wise to find out where your nearest port is and to see which cruise ships are based there. This will enable you to find out which cruise lines you could potentially book with. 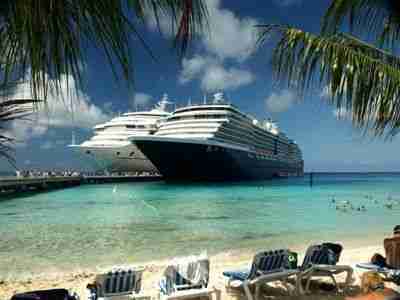 Of course in some cases there may be a specific ship and cruise you want to book a cabin on. In this case you will need to determine where you can board the ship and how to get there. Very often though, free parking is included as a perk of your booking. However it’s reassuring to know you have lots of options available for boarding a cruise leaving the UK – heartening news for those with a fear of flying. Are there lots of cruise ships to choose from? Specific cruise ships tend to focus on specific types of cruises going to various destinations, but yes, overall you have plenty of ships to consider booking a cabin on. Each cruise line has a number of ships – flagships, you may say – which regularly sail to foreign waters, whether in Europe or way beyond. Indeed, while it is important to consider the destination you want to travel to, it is equally as important to consider the ship you will be sailing on. While some accommodate several hundred passengers, others are capable of taking several thousand, which can result in a very different experience. Of course, the size of the ship will be very different too. Most cruise companies provide further information about their cruise ships on their respective websites. For instance Royal Caribbean states that their smallest ships can be found in the Sovereign Class collection, while the Oasis Class provides the largest ships. Larger can mean more facilities but it also means more people. At present the UK’s largest cruise ship is Allure of the Seas owned by Royal Caribbean. It boasts 16 passenger decks and a total guest capacity of 6,318. Similarly P&O Cruises have seven ships to choose from at the present time. These range in size from the Adonia, which carries just over 700 passengers, to the Azura, which accommodates more than 3,000.However choosing by company and size is just the beginning. You also have to consider where you wish to go in the world. What are the most popular destinations to head for on a cruise? Anyone deciding to book a cruise will have a wealth of tempting destinations to choose from. Fly cruises from the UK (requiring either a flight out to another country to board the ship or a flight back after embarking from the UK) offer a wider range of possibilities, but no fly cruises are also plentiful. While many people enjoy booking onto a longer cruise, offering the possibility of travelling further and seeing more countries, shorter cruises are also very popular and becoming more so over time. Almost 50% of the cruises booked lasted for seven nights or less in 2011, according to information published in the PSA Cruise Review. As you would expect, the most popular destinations depend on whether you embark on a no fly cruise from the UK or a cruise requiring at least one flight to reach or return from your ship. The third most popular destination for fly cruises was the Atlantic Islands from 2002 through to 2005. However in 2006 Indian Ocean cruises became popular for the first time. They experienced a dip in popularity between 2008 and 09, but have since bounced back to rank above the Atlantic Islands once again. Other cruise destinations that have become popular in recent years include Norway and the Trans Panama Canal for fly cruises. In contrast the round Britain cruise has enjoyed increased popularity since 2009, perhaps because this is an ideal cruise for those venturing on board a cruise ship for the first time. The world of cruise ships, adventurous holidays and foreign ports is one that is clearly drawing a bigger audience year on year. It is no longer a type of holiday enjoyed by retired people. Nowadays families, single people and young couples all enjoy boarding a cruise ship to embark on an all inclusive and thoroughly enjoyable holiday. The continued ability to try a two or three day taster cruise and to visit all kinds of countries without worrying about flying is set to ensure the continued popularity of this unique type of holiday. Regardless of whether you opt to try a taster cruise or you hop on board a two week cruise round the Mediterranean for your first time, you will be let into an experience you will never forget. Luxury cruises are not about the largest or newest vessel but the ultimate in pampering, with high-end dining, exceptional service and the most diverse cruise schedules. The vessels range in size and are usually much smaller than mainstream ships, with some no longer than a private yacht, setting sail with as few as fifty passengers. [blockquote type=”blockquote_line” align=”left”]It is leagues ahead in terms of the facilities and services offered, and the overall cruise experience is something that lingers on for its elegance, class, and extravagance. [/blockquote] Luxury cruisers are always on the lookout for the best and the latest in luxury and that is what makes the competition tougher in this industry.